Sean comes from the far North Coast of NSW and currently resides in Queensland Australia where he works as a full time artist. He has been painting for over 15 years and paints stories about the dreamtime, the land, animals and the sea. This painting shows his country, the Bundjalung Nation, with the coastal and inland Aboriginal communities. 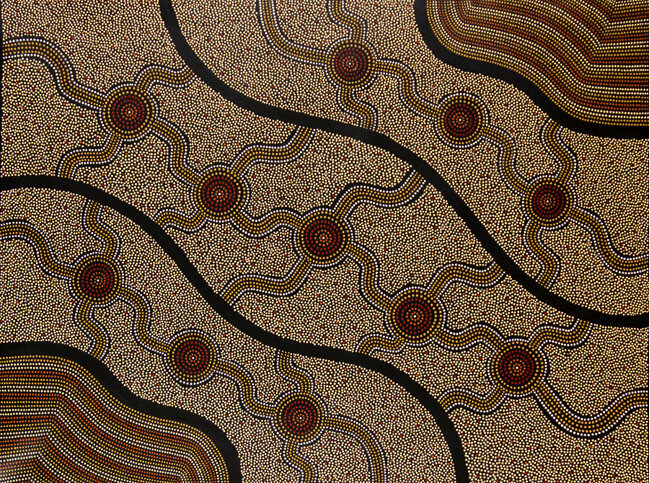 The circles represent family groups and clans with tracks that show their connection to other Aboriginal groups within his nation.